So, let’s start off admitting that we obviously have a strong preference in the OEM versus aftermarket debate. But our preferences are based on years of actual, technical experience. Our two founders actually worked at an OEM company for years, and now sell aftermarket parts. HHP wouldn’t exist if their experience at that company had proven to them OE was the only way to go. And yet people still find themselves returning again and again to the OEMs, thinking they're the best option, especially with something as important as a engine rebuild kit. That's because "aftermarket" and "low quality" have come to mean the same thing in the minds of many. While it's true that some aftermarket parts are cheaply made and low quality, that definitely doesn't fit them all. It's important to find an aftermarket supplier that you trust to get you the best quality aftermarket parts available. And there are some facts about OEM kits that you might find troubling as you shop. The most obvious difference between OEM and aftermarket parts, kits or otherwise, is the price. Like all big brands in any industry, OEMs will charge much more than their “generic” competitors. They can get away with it because their name is so widely recognized. They also have the claim of putting together the original engine, so it’s assumed their parts would be better (but we’ll get to that later). Either way you dice it, “genuine” parts tend to be more expensive. To some people the price doesn’t matter, and to others the price is the most important part. But what are you actually getting for the extra cost? Yes, the parts will fit your engine, but in many cases, so will a quality aftermarket part. In fact, there's often very little difference between the OEM and aftermarket parts. And while the OEMs might keep parts for their newer engine models in stock, they don't always do the same for their older engines. So you might run into some trouble there. When it comes down to it, you're really just paying for the name. At Highway and Heavy Parts, our kits are up to 30%-50% off the OEM prices, for the same or better quality. If you're diehard OEM, you might want to believe that the OEM name means quality parts every time. But another big difference between aftermarket and OEM engine rebuild kits are the warranties associated with them. Ideally, no one should ever need to worry about whether parts are warrantied or not. However, reality has shown that warranties will sometimes be needed, no matter the track record any manufacturing company has. Generally OEM companies offer a 6-12 month warranty on the parts they sell, which isn’t bad. It’s better than no warranty at all. Though the OEM’s may have decent warranties, they don’t usually match the warranties aftermarket manufacturers can provide. At HHP, most of our parts come with a manufacturer-provided 2 year warranty that covers both parts and labor. That’s twice the best OEM warranty! Basically, our manufacturers have so much confidence in their products that they’re willing to go the extra year to prove their quality to you. So not only are you getting the best parts, you're getting the peace of mind knowing someone has your back. Quality is something that both HHP and the OEMs take pride in offering. There’s no denying that OEMs will provide quality parts; that’s how they became the big OEMs, after all. The catch with “OEM parts” is that the OEMs don’t actually make all of the parts they sell anymore and consumers generally assume they do. So there will be times when the OEM and the aftermarket company will sell you the exact same product. For example, Miba provides the bearings in several OEMs’ engine rebuild kits. Miba also provides the bearings for some of HHP’s engine rebuild kits. Other manufacturers also used by both OEMs and HHP are Delphi, Mahle, Riken, and Menon. Unfortunately, some aftermarket manufacturers will not provide quality. We’ve all seen the cheap parts made overseas that fall apart as soon as they’re actually used with a little bit of power. Back when we first started out as a company, we even ordered one of those parts to examine the quality for ourselves and knew as soon as we opened the box that we would never sell something made that poorly to one of our customers. At HHP, we will only sell you quality parts from manufacturers we trust. If we know a certain manufacturer always has trouble with parts for a particular engine model, we will not sell you their parts for that engine model. There are times where we tell customers that we can get them the part they’re looking for, but we won’t sell it to them. This is because we’d rather lose a single sale than ruin our reputation for providing only the highest quality of parts. However, we’ve found trusted manufacturers that enable us to have a vast product offering, so those conversations rarely have to happen. Much more often we get to tell our customers all the ways that our aftermarket manufacturers are as good as or better than the OEM. Some manufacturers have made improvements over the OEM’s original design. Because of patents, aftermarket manufacturing companies have to wait a few years to make parts to fit new engines, and when they do finally make them they take the time to develop the parts properly. 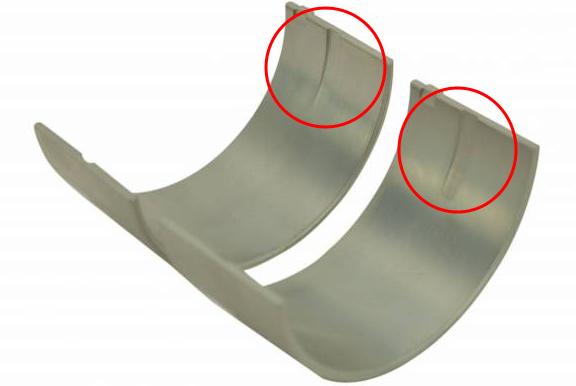 For one example, it was aftermarket companies that came up with the innovation of a groove on the inside of rod bearings to help with the passage of oil. One of our manufacturers was part of a test that a municipality conducted to find the best source for parts for their bus system. In their large bus system, the municipality designated 20 buses to have only aftermarket fuel injectors. They found that over the span of almost a year, the buses with the aftermarket injectors showed better fuel economy and performance. Needless to say, they used the same company for all replacement fuel injectors after that. 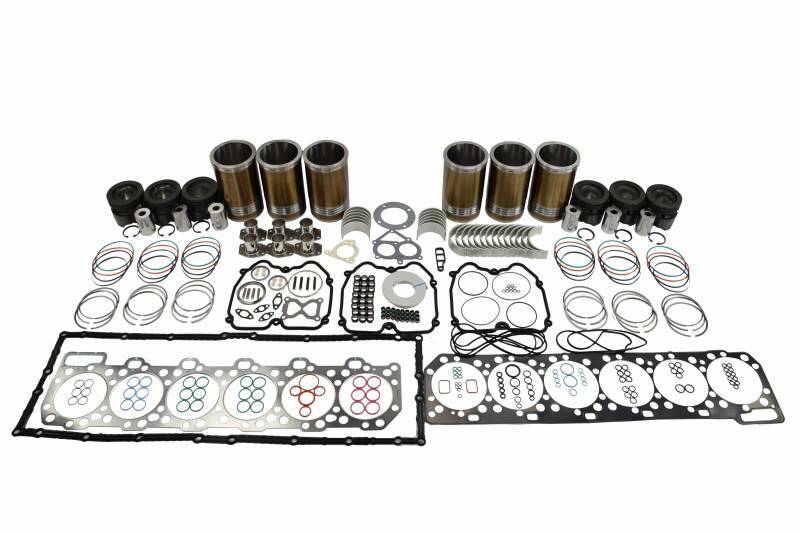 When you're buying a new engine rebuild kit, you'd expect all the parts to be new, right? That's not always the case with OEM kits. It's a common practice of theirs to market their cylinder kits as pre-assembled, claiming it's to save you time. While it might do that, the pre-assembly can also hide the fact that they're including used parts in their kits. Having pre-assembled parts like this takes away the mechanics' ability to put everything together themselves—and many prefer to take this extra time to ensure it's done correctly rather than just having faith in the manufacturer. HHP's kits use only new, quality parts, and there's no core charge. We’re not trying to sneak used parts past you. While the OEM vs. aftermarket debate continues to rage on, here at HHP we believe in our quality aftermarket parts. Let us save you some money and get you the best parts for your engine. For more information on OEM vs. HHP engine rebuild kits, check out our video. Highway and Heavy Parts is fully committed to the success of our customers. If you have any outstanding questions about the difference between OEM and aftermarket, aftermarket quality, or general questions you need answered, please give us a call at (844) 215-3406. You can also request a quote online for any of your engine rebuild kit or other diesel engine part needs.